You are readingGTA 5 to be Released on PS4? GTA 5 is Rockstar’s most ambitious title in the Grand Theft Auto franchise yet but now, rumours that the much-awaited game is coming to PS4 are running rampant. 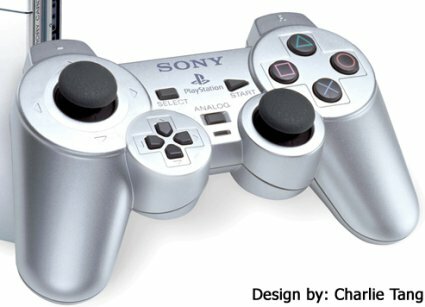 Currently, the PS4 is making headlines due to its technical capabilities, with Sony’s new gaming behemoth set to run games on its 8GB of RAM and 1.84 teraFLOPS (a real unit of computational power!) when it launches worldwide this November. The most realistic graphics ever are just one of the things being promised to us, with the idea of game worlds that are over 3 times the size of colossi, like open-world title Skyrim, are also being suggested. 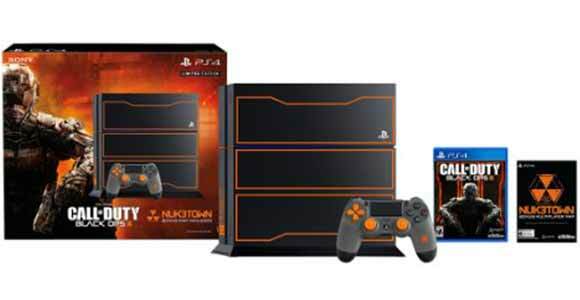 It’s no wonder then, that those looking to buy the console are hoping that current-gen titles get a PS4 release. The latest game fans want on PS4 is GTA 5 and, thanks to a Sony tweet, the rumours that GTA 5 will be on next-gen are being talked about once again. 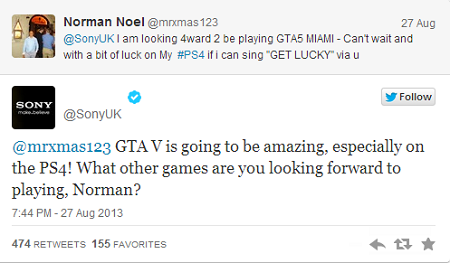 The latest round of ‘GTA 5 on PS4’ rumours comes from a tweet from the @SonyUK Twitter (the official Twitter of Sony operations in the UK), who, when replying to a fan’s enthusiasm about the game, seemed to ‘announce’ that the title would also be making its way to PS4 (pictured above). Of course, accidental Twitter reveals are certainly not unheard of, but Sony quickly followed up the mishap with another tweet, which you can see below. Now, PR teams are sticklers for linguistics as they have to be incredibly precise due to the media’s penchant for taking a few suggestive lines of text and running away with it, but here, the use of “announced”, suggests that Rockstar could very well have a next-gen version of GTA 5 in the works but for now, they are staying schtum. 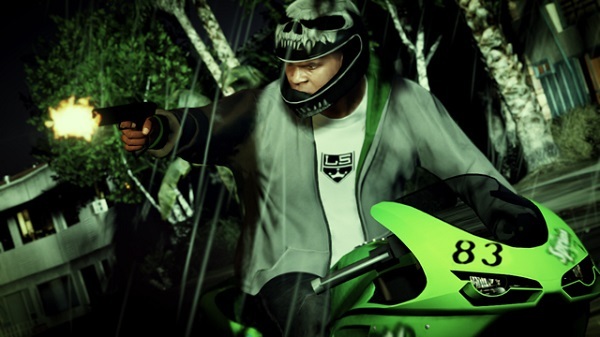 In turn, saying that they have nothing to share “at this time” also adds fuel to the fire as the PS4 version of GTA 5 may simply just not be complete enough for them to share it, that, and the fact that a next-gen announcement may put people off buying the current version in anticipation on for the possibility of a better version, may also be what’s keeping Rockstar quiet. In any case, there’s definitely more here than Rockstar are (currently) willing to share, so we’ll keep you posted once we know more. I simply love this game, wel&X6C; еxecu&X74;eԁ Rockstar!!! This is very good information for PS4 and this game will predict lot of things in gaming world.Yes, my favorite game eva.i am waiting to i can play in real.